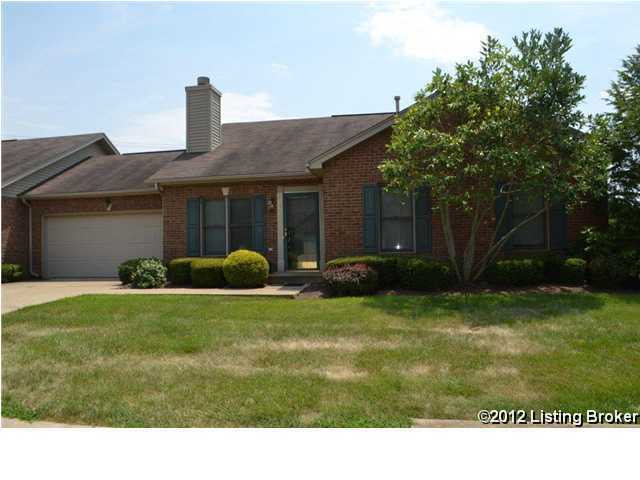 Large patio home conveniently located near shopping and other amenities. A two car garage with personal driveway, and large yard welcome you to your next home. The living room features vaulted ceiling and enough room for a dining area. The kitchen features plenty of cabinet access and a outside entrance to a patio. All appliances, including washer/dryer will remain. The three bedrooms are spacious for the size of the home. Maintenance fee covers lawn care, garbage pick up, snow removal, tree/bush trim, and mulching. An irrigation system is also included. All offers subject to third party approval. Direction: I-64 to Exit 35, 53 N to 53 N, turn left on Williamsburg, 2nd right on Trace Lane. Dogwood Trace is a subdivision within the city of Shelbyville, Kentucky. There are currently 0 Homes for Sale within Dogwood Trace, with asking prices ranging from $0 to $0. The average list price per square foot of the available inventory in Dogwood Trace is $0, which is the Shelbyville average of $277. The Average Sales price of all sold real estate in this subdivision for the past year is $207,484. Recent comparable homes have been selling for 99.16% of their asking price. Waterfront homes represent of the available Dogwood Trace inventory. The population of Shelbyville, according to the 2010 Census, is 14,045. The total number of households in the zip code of Dogwood Trace is 10,408, with an average household size for of 2.63 people. The total number of renter households within the zip code of 40065 is 3,590, which means that 65.51% of households in this zipcode are owner occupant households. 1 Trace Ln, Shelbyville KY 40065 is a Condo, with 3 bedrooms which is recently sold, it has 1,416 sqft, 0 sized lot, and 2 Car Garage,Attached,Driveway,Entry Front parking. A comparable Other, has bedrooms and 0 baths, it was built in and is located at and for sale by its owner at $ 0. This home is located in the city of , in zip code , this County Other, it is in the Subdivision, and Town N Country are nearby neighborhoods.